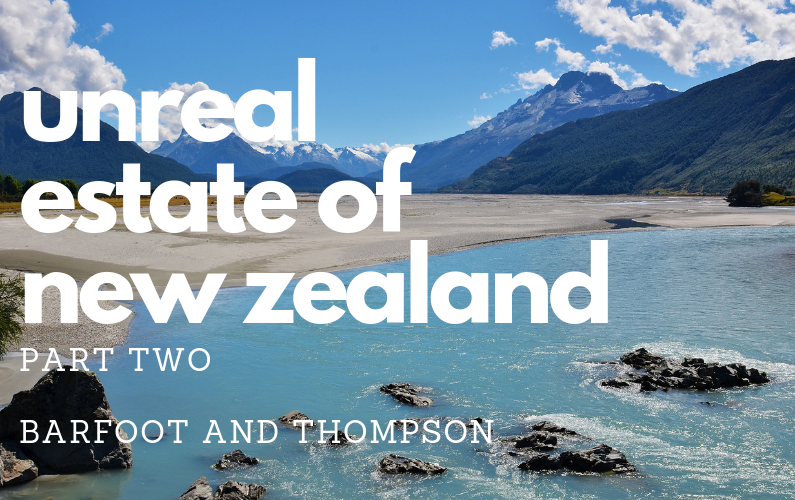 Concluding our series on New Zealand real estate this week we sat down with Kiri Barfoot, Director of Barfoot and Thompson – recently awarded the title of Best Real Estate Agency in The World by International Property Awards in London, and agent Tim O’Shea. Barfoot and Thompson is an impressive company. Professional and established with probably the nicest office space we’ve ever seen. Weeks prior to this New Zealand announced it was banning all foreign ownership. As we’ve learnt from these interviews, there’s a number of loopholes to this “ban” and it may not be having the desired effect, though it’s still a bit too early to tell.